rails-ajax: auto-ajaxify your Rails app! Automatic, unobtrusive and seamless Ajax integration in your Rails application without a single line of code. Adapts to normal links and form buttons too! Selectively refresh some elements using Rails partials. Provide user callbacks to better control the Ajax flow. Can be deactivated on a per-link basis. # Enable or disable RailsAjax. 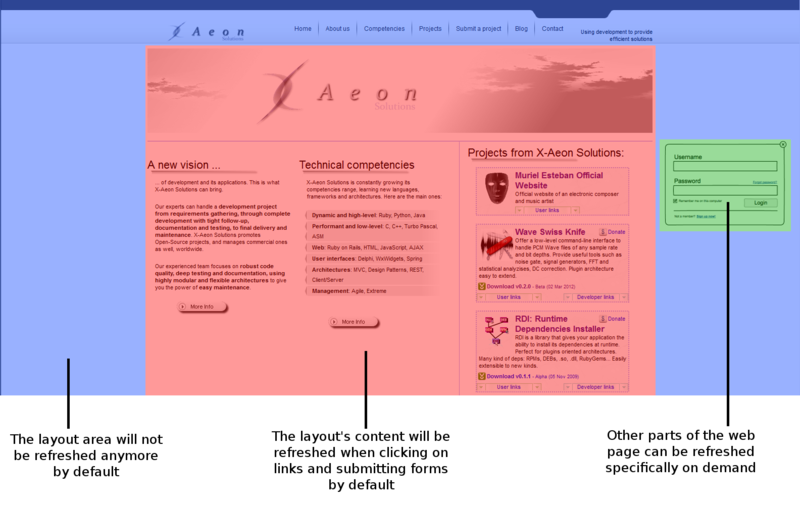 # Set the default main container that will receive the result of Ajax requests. # This container will get what is rendered by default when render is called. # Set the containers that will receive Rails' flash messages. # Use these if those containers are part of your layout and will not be refreshed by each Ajax call. In this case RailsAjax will still refresh them. # If not set for a given flash message type, you have to return the corresponding flash yourself in each Ajax's response. # Activate debugging alerts in the JS code. # This will pop plenty of JS dialogs at each stage of RailsAjax calls, useful to better debug what is going wrong. Contributions, questions, jokes? Send them to Muriel!